We do high quality embroidery on a large selection of garments, headwear and bags. 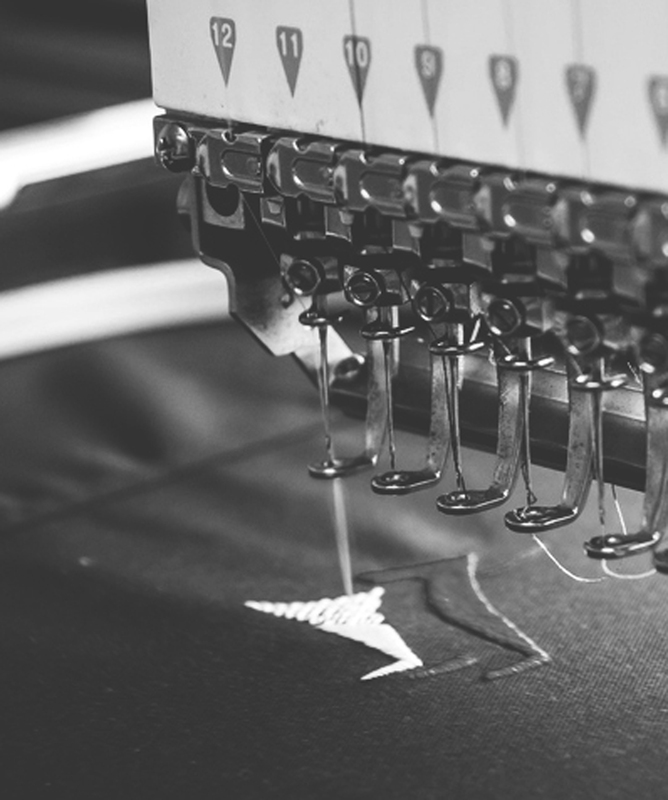 Here are a few things you’ll need to know about our embroidery process. Before any logo can be embroidered, it must be digitized. Embroidery digitizing is a specialized computer method of converting artwork into a series of commands to be read by an embroidery machine’s computer. Properly digitized artwork will determine the quality of the finished embroidery. Every action of the embroidery machine is controlled by the digitized program including the movement of the pantograph to form various stitches, thread changes, thread trims, and many other functions. We do charge a fee for digitizing artwork. The digitized file is saved into our database for repeat orders. Digitized artworks are for in-house use only. From vibrant and detailed to simple and low key, we have the capabilities to deliver at a quality level that is nothing short of impressive. Since embroidery is measured in stitches, pricing is based on stitch count. The more stitches it takes to create a logo or image, the more it costs as it’s takes longer for the machine to embroider. For example, a logo embroidered 10”-11” on the back of the garment will cost more then a logo embroidered 3”-4” on the front Left Chest. Lettering is the biggest challenge in embroidery. Because we’re using needles and threads, letters must be no smaller than 1⁄4 inch high. Any smaller than this and the holes and shapes that make up the letters can start to close in making the text look messy or even unreadable. If your logo has text that is smaller than this don’t panic! We can make the necessary adjustments required to make your logo work.